Are you looking to send an elegant and delicious gift? Look no further! 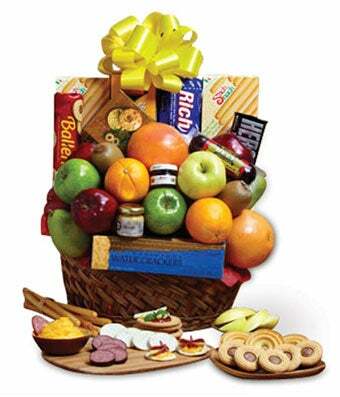 The Orchard Fresh Fruit and Snacks Gift Basket is a customer favorite. Your recipient will enjoy fresh fruit, sweet treats and savory snacks from their keepsake woven basket. Send today! Please note: contents may vary.